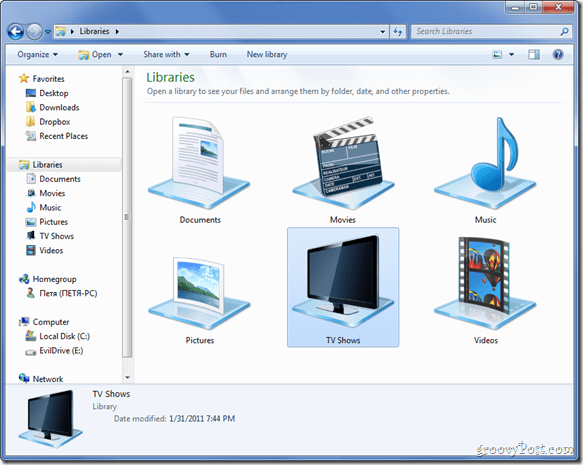 Windows 7 Introduced a great way to manage multiple files and folders from the same category – libraries. 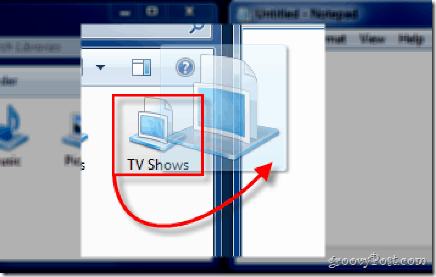 Although there are plenty of features in terms of file management in Windows 7 libraries, what is missing is a tint of customization. Let’s get that problem out-of-the-way by adding in a custom icon to one of our libraries. Although this works on the libraries built into windows too, you may want to create your own library, since the icons on the built-in libraries are pretty cool. Start off by opening Libraries. Now right-click and pick New > Library. Name your library whatever you want and press Enter. …or you can get creative and make one yourself (just like I did). 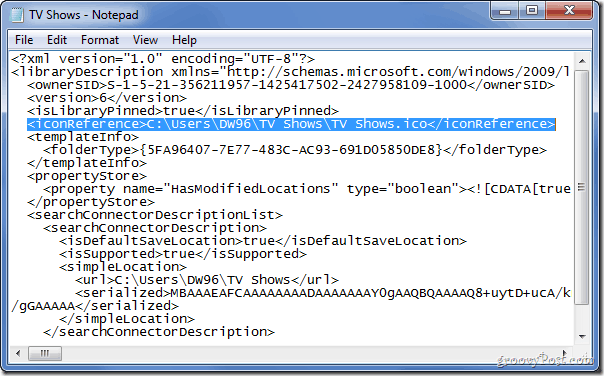 We now need to open the explorer to locate the location of the .library-ms files that contain the information about the libraries, library contents and the icons to them. 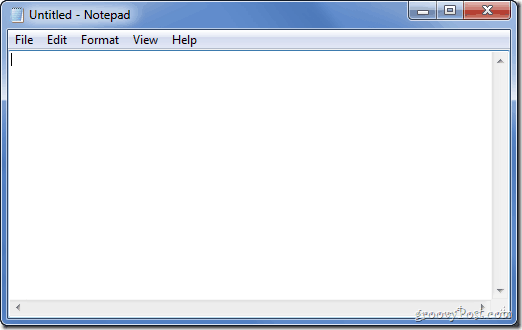 Now open the Start Menu type Notepad and hit Enter to open up Notepad. 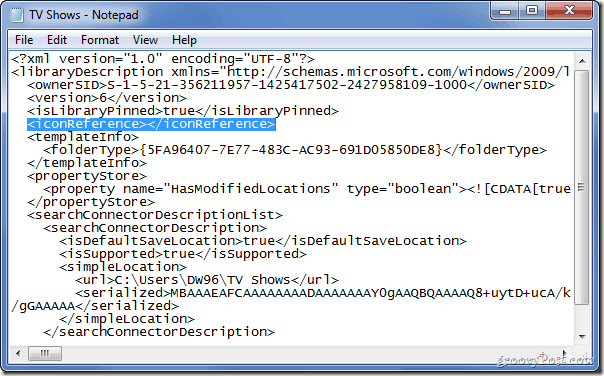 Now simply drag the .library-ms file with a filename according to the one you gave your new library earlier into Notepad. Now you will need to add an <iconReference></iconReference> line right between <isLibraryPinned>true</isLibraryPinned> and <templateInfo>. In between the ><’s you will need to add the location of the .ico file we prepared at step 2. 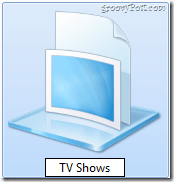 As the grand finally, press Ctrl+S to save the file, and then close Notepad. You can now open up Libraries again and take a look at what you’ve achieved!